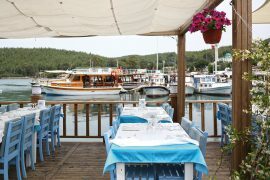 Meet the passionate linchpins of a fast-growing wine and gourmet trail in the Bodrum Peninsula. 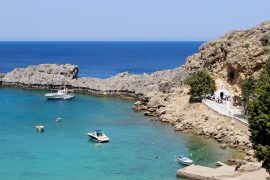 Their uniquely local character adds an exciting dimension to your vacation. Step away from the coast at Güvercinlik and you will discover a different kind of paradise; a beautiful valley of vineyards and farms, run by hardworking people who know the flow of the seasons and rejoice when it rains as much as in the bounty of the sunshine. 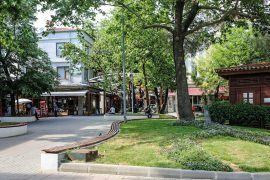 Drive east from Bodrum through the green fig and olive orchards of Kızılağaç village, then northeast over the pine-forested hills to Çamlık or Pınarlıbelen and Etrim to Mumcular town, and then onwards to Çömlekçi and Dörttepe villages. 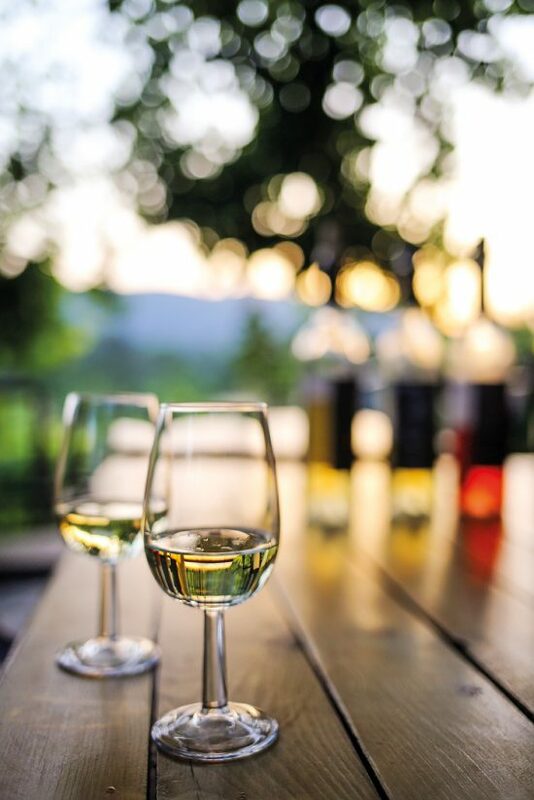 Though it is not fully realized or even sign posted yet, you are following a emerging wine-tasting and gourmet trail that celebrates the rich culture of the area. In lush and peaceful Kızılağaç, up a slope looking over the Karaova valley, is the modest house of Vinbodrum, or Bodrum Şarapçılık. 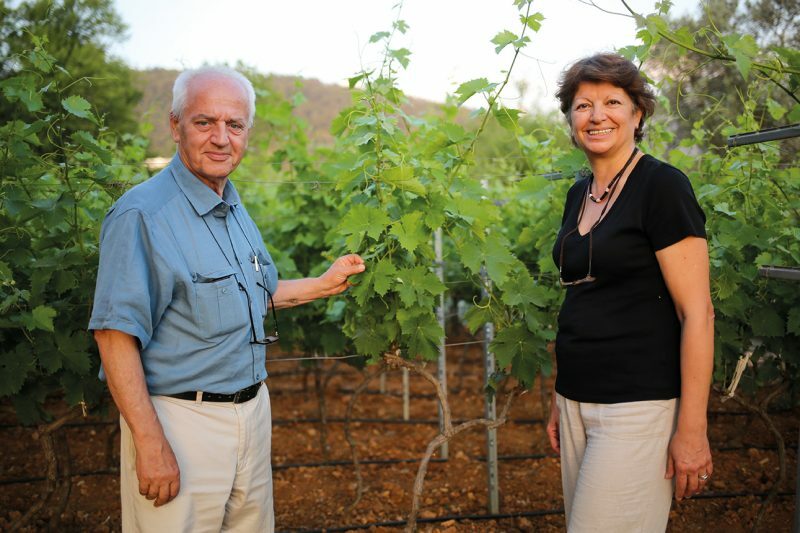 The warm welcome by Füsun and Erhan Yürüt, and their daughter Duygu, the neat garden and carefully-tended vineyard, and the sharing of their story confirms a first impression of passionate people who love what they are doing. Before sitting at the big table on their wide terrace, they first give a quick tour of the basement where the heart of their operation lies. Gleaming steel vats stand in rows, with thermometers and other gauges monitoring their contents as they are brought to maturity. All vats are carefully labelled with dates and the source and type of the grapes. While there are a few blends of grapes, most are single varieties growing into wonderful flavors and bouquets within vats and Hungarian oak barrels. 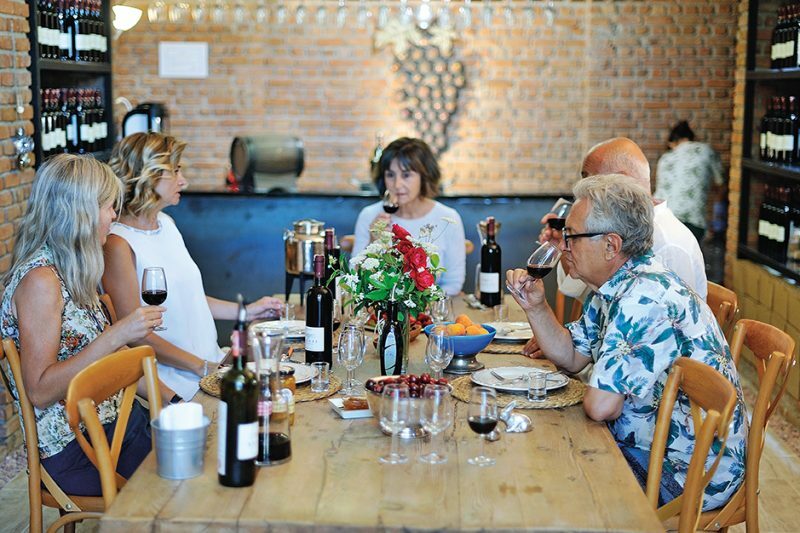 After joining a gourmet club of amateur wine and vine enthusiasts in Ankara in 2003, the Yürüt family began learning the art of producing homemade wines, and soon yearned for their own vineyard. They chose to put down their roots in Kızılağaç; not just for the climate and microclimates throughout the hills and valley, but also “for the synergy” as Erhan puts it: “the coincidence of the Mediterranean and Aegean climates around Bodrum Peninsula.” Füsun adds, “it was also for the living, the social and cultural life possible in Bodrum.” They moved to pursue their dream full-time in 2010 when Füsun retired from her administration management job in Ankara. The family assiduously went through the arduous bureaucracy and steps in setting up their own equipment for winemaking as a small ten-tonne capacity boutique enterprise. 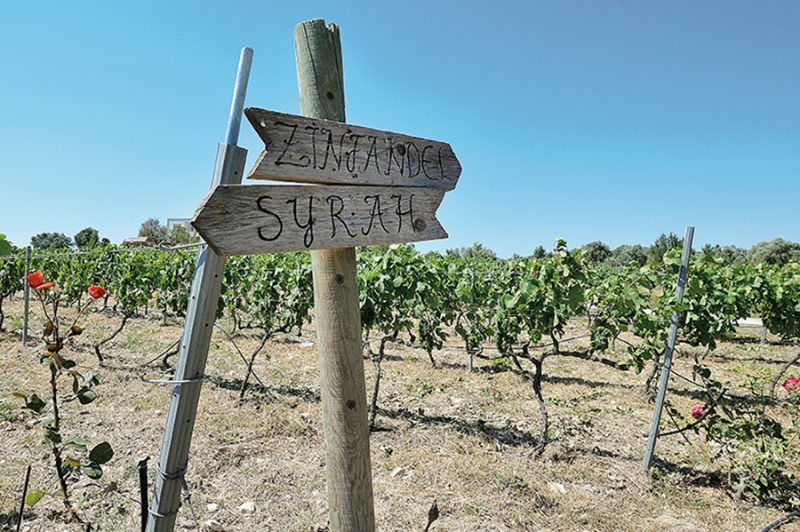 While they recently bought land and planted the indigenous Anatolian grapes Öküzgözü, Boğazkere, and Grenache, they have built up a reliable network of supplier vineyards over the past five years for their own label production. Most of their Chardonnay is made from grapes grown at a friend’s large vineyard Mor Salkım, a short distance away at Çömlekçi village. They also source grapes from an older fifteen-year-old vineyard at Kısırlar near the same village. 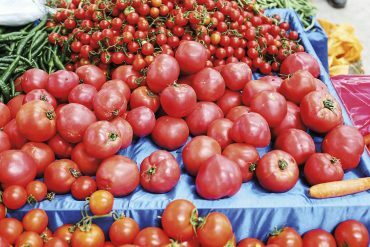 As the bulk of their production is for reds and a rosé, they source the popular Anatolian grape Öküzgözü from the Denizli area. 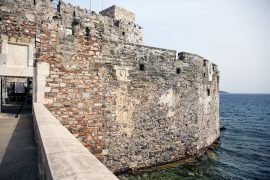 Their commitment to Bodrum is also expressed in their choice of a different local artist each year to design their bottle labels, lending them a unique local aesthetic. Happily, their quest for quality can be tested. 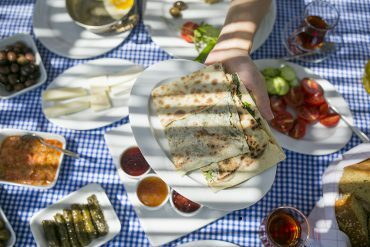 Vinbodrum’s café offers light meals and tasting plates—as well as brunch, lunch, or dinner—to organized groups of up to fifteen guests on the terrace in summer or by the wood stove in winter. 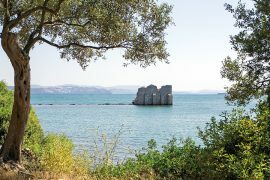 Duygu refers to the success of the Thracian Vineyards and the Urla Vineyards Trails as their model for a similar vineyard trail from Bodrum through the Karaova valley. 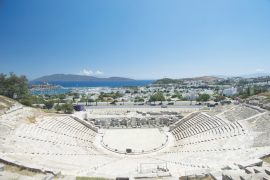 As Vinbodrum is easily accessible from Bodrum, even by the local dolmus/minibus service, it is an ideal first step in the nascent Karaova route. Mehmet Vuran grew up among his family’s Garova vineyards tucked in behind Pınarlıbelen village. 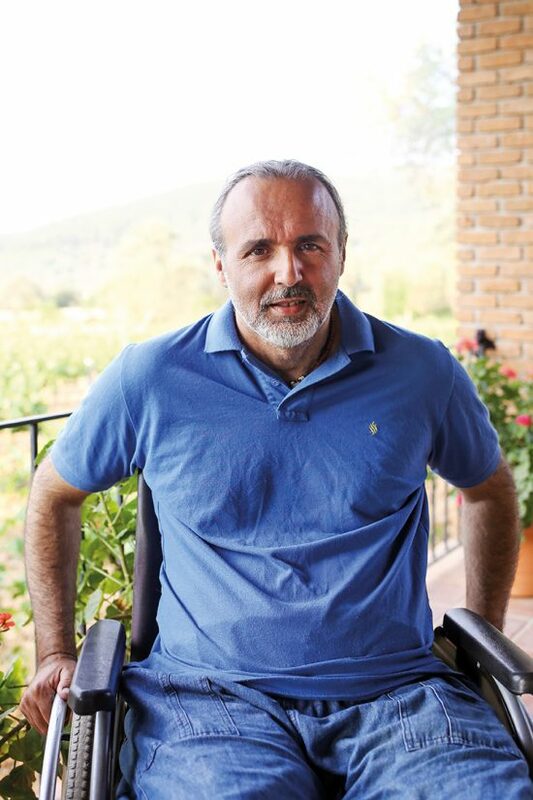 He left home to study agricultural engineering at Bursa’s Uludağ University and then worked in Bodrum’s Department of Agriculture, until a traffic accident left him in a wheelchair. Being back in the family vineyard sparked his interest in viticulture. 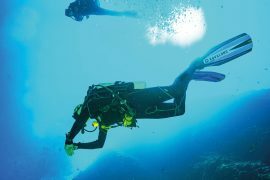 It grew from being a hobby into his life’s passion. In 2004-05 he started using the vineyard’s grapes, drawing on a range of vine stock aged between 30 and 14 years old. He has since planted Zinfadel, Shiraz, and Petit Verdot varieties. He already has an Instagram and blog following who are eagerly waiting for the labelled products to become available. Now Mehmet is nearing his goal of opening a café and cultural meeting point in the new stone buildings on his family’s compound. 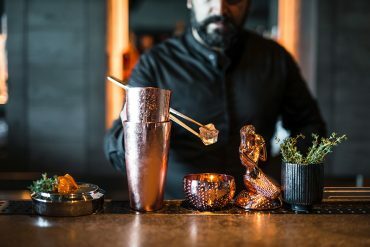 Mehmet envisages hosting musical events, art exhibitions, and catering for visiting small groups for tasting or events such as engagements and weddings. He wants to offer self-pick for table grapes, and a picnic and BBQ space for visitors to enjoy local products underneath the olive trees. Mehmet supports the concept of Karaova Bağbozumu Festival, held over three days during the past three Septembers in Mumcular township and again scheduled for September 2018, which showcases local produce. He plans to include local cheese and products in his café. Sitting on the broad terrace of the café building in peace, looking over the neatly-tended vine trellises surrounded by tall cypresses and oaks, and pine clad hills, there is barely a man-made blemish in sight. Mehmet’s alluring vision of a country refuge appeals to the escapist in us all. Selva İşmen was busy supervising the season’s bottling as The Guide Bodrum arrived at Karnas Vineyard and Selia Farm near Çömlekçi. A van pulled up to whisk away a precious cargo of Zinfandel destined for Istanbul. “At last, after fifteen years of hard work, we finally are meeting the demand for our products,” she says. 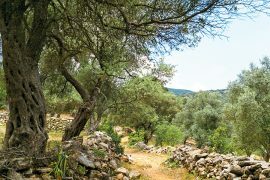 It is fifteen years since she and her husband Haluk, the cheesemaker of the duo, chose the land and began establishing the farm; cultivating vines, growing olives, and raising farm animals. Now she is meeting a demand accelerated by the selection of their 2015 Shiraz in the Sommeliers’ Selection Türkiye 2017 awards in Istanbul, followed by a Bronze Medal in London’s International Wine Challenge 2018. Their 2015 Shiraz and 2017 Zinfandel are now released and being sold in Istanbul and Bodrum, and at selected hotels. As they increase production, Selva’s main priority is to maintain the quality of their wines. Once seated with coffees and looking over the valley she outlines her vision of the Karaova Valley becoming a gastronomic center by encouraging village gourmet enthusiasts and experts to develop their techniques and link up with agro-tourism initiatives. 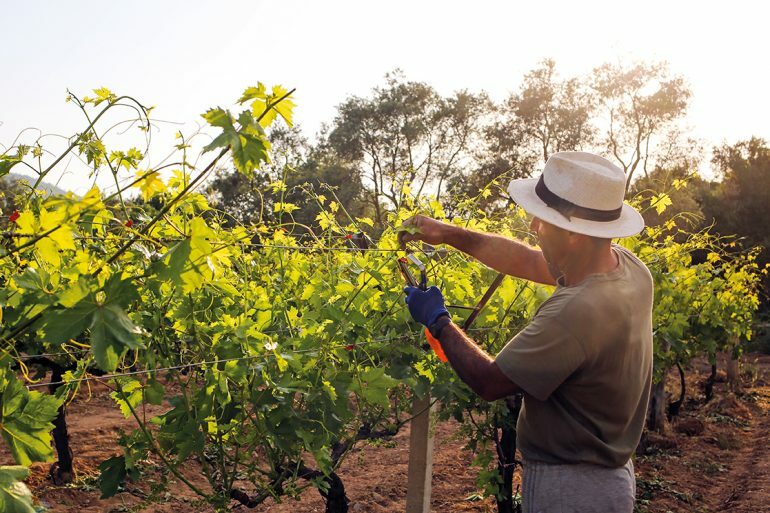 She envisages her farm and vineyard connecting with other centers, such as Garova and Vinbodrum, to create a route for visitors to the region. Selia Farm is already a destination for those who look for a special private country meal, such as a breakfast dining on the farm’s goat cheese, olives, jams and local honey and homemade bread, and eggs from their chickens. Gourmet evenings of tasting and matched wine menus are offered in the cellar’s courtyard as Selva has teamed up with the cooking expert Aslıhan Mutlu who lives nearby. 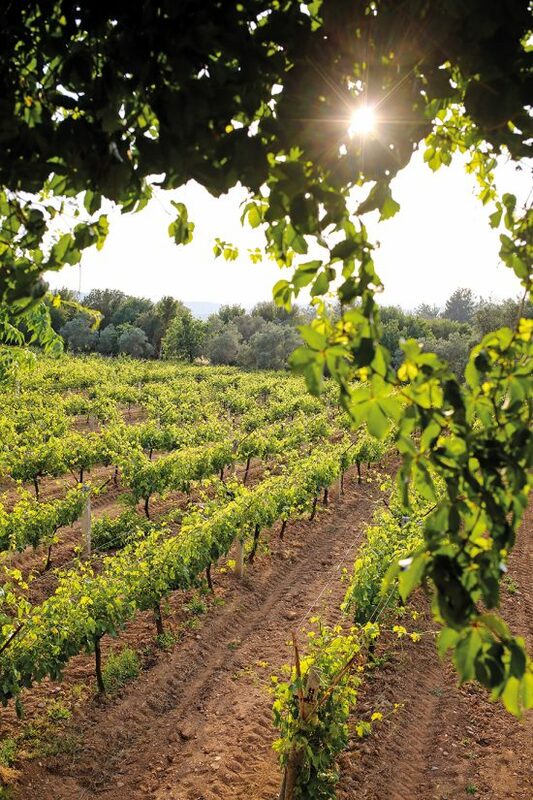 The scope of the farm is admirable with 16.5 hectares planted with vines, and with 2,500 olive trees ranging in age from mostly young to one 1,000-year-old tree, along with pomegranates and mulberries. The vine plantings continue with Selva proudly saying she has just planted Turkey’s first Vermentino vine root stock (a white wine grape), in addition to Cabernet Zinfandel, and Shiraz/Syrah vines. She has also planted Michelle Pallieri—a large, purple new table grape variety— which is a first in the Bodrum area. The bucolic pleasures of Selia Farms are very hard to leave.